Bengaluru-based payments gateway solutions provider Razorpay is all set to venture into online lending, as part of its expansion and product diversification strategy. It also plans to start non-bank lending and microlending after getting requisite approvals from the Reserve Bank of India, according to filings with the Ministry of Corporate Affairs. Besides, Razorpay Technologies Pvt. Ltd may adopt a hybrid model, wherein it operates as a marketplace for financial products, besides underwriting loans, according to the filings. Razorpay Technologies, which was incorporated in August 2015, plans to offer working capital loans to businesses, housing finance, gold loans and loans against property. The timeline for the launch of the new businesses could not be ascertained. It is also not clear whether the company has already obtained the necessary regulatory nod. Email queries to Razorpay seeking more information did not elicit any response till the time of filing this article. Razorpay Technologies is a unit of the US-based Razorpay Inc. Another unit of the US-registered company is Razorpay Software Pvt. Ltd, which operates the payments gateway. Razorpay Software was started in 2013 by IIT-Roorkee alumni Harshil Mathur and Shashank Kumar. Before launching Razorpay, Mathur worked with oilfield services firm Schlumberger and Kumar with Microsoft. Razorpay Software allows businesses to process and disburse payments through its products. According to its website, it accepts and validates payments through various modes, including credit and debit cards, net banking and digital wallets. In 2015, Razorpay became the second Indian company to be selected for the Y-Combinator accelerator programme. Razorpay has raised over $11.5 million in external funding from the likes of Matrix India, Tiger Global and Y-Combinator, according to VCCEdge, the data and research platform of News Corp VCCircle. The company is also backed by 33 angel investors, including the founders of Snapdeal, InMobi and FreeCharge. Earlier this week, The Times of India reported that Razorpay was likely to raise Rs 120 crore ($18.7 million) in its next round of funding from existing investors Tiger Global, Y-Combinator and new investor Yuri Milner’s Apoletto Fund. Razorpay Technologies is yet to generate any significant business and had posted revenue of about Rs 9.13 lakh in 2016-17. 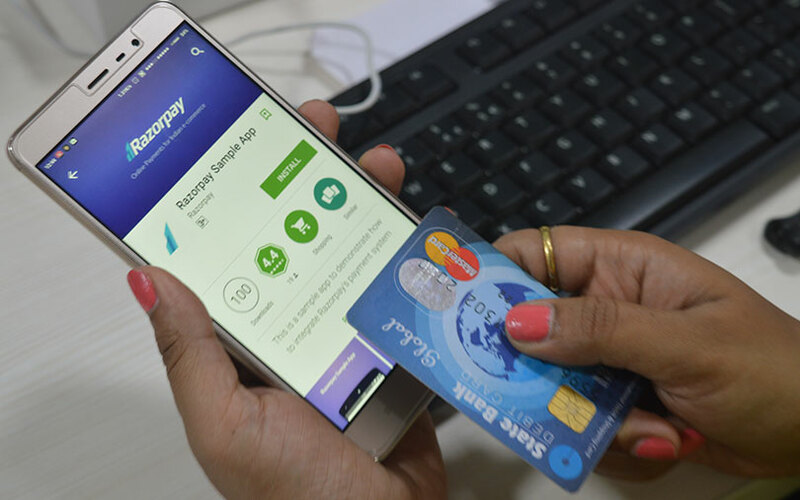 Razorpay Software reported a 27-fold rise in operational revenue to Rs 21.3 crore from Rs 79.88 lakh the previous year. Gross revenue rose to Rs 25.82 crore from Rs 4.88 crore. Gross revenue includes other income such as interest on fixed deposits and profit from mutual fund investments. Its total expenditure grew almost six-fold to Rs 26.59 crore in 2016-17 from Rs 4.44 crore the year before, primarily due to a five-fold rise in employee expenses to Rs 11.77 crore. The steep rise in expenses plunged Razorpay into a net loss of Rs 54.96 lakh in 2016-17, compared with a profit of Rs 28.68 lakh the previous year. The numbers may not, however, reflect its complete financial health since the parent entity is registered in the US, where its consolidated profit or loss is recorded.